Learn to identify, grow (propagation and culture), and use different types of scented plants. You will find out how to harvest and dry scented plants, and through practical assignments actually make a whole range of exciting herb crafts (e.g. pot pourri, soaps, candles). Learn also how to landscape a scented garden and expand your knowledge of dozens of types of scented plants. Planting, staking, mulching, pruning, protection from wind, salt air, etc. Methods of propagating this group of plants; creating a scented garden; growing in pots, inside, or in the open ground. Pot pourri, scented candles, tussie mussies, sachets, etc. Students must complete a special assignment on one selected plant or group. Know the plant naming system and the uses of scented plants, indicate the genus, species and variety in a selection of plant scientific names. There are many ways you might classify scented plants. By plant part -scented flower, scented foliage, scented fruit, scented root, etc. By plant group -scented bulbs, scented climbers, scented trees, scented shrubs, etc. By type of scent -strong scent, subtle scent, sweet scent, foul scent, etc. By use -edible herbs, plants for landscape use, for use in perfumes & cosmetics, etc. By plant family -plants which have similar botanical characteristics. Many scented plants tend to fall into one of the several particular plant families. By becoming familiar with these families, you will develop a foundation for understanding and identifying scented plants. Prevention is always the best cure. Try to keep the environment friendly to the helpful insects, a healthy soil structure with added compost, and maintain suitable environmental conditions for the plant. If you don’t have the right plant in the right place, they tend to struggle more. Heat, cold, wind, rain, frost, shade, pollution and other environmental problems can have disastrous effects on plants. Learn how it affects them. Harvest and process a range of scented plants. Make a range of products and uses from scented plants. Explain harvest and post harvest techniques for the production of scented crops. If you are to reap the benefits of quality produce, crops must be handled properly during harvest and post harvest. The various methods for harvesting herbs is mentioned. Compare the cultural requirements of fifteen different scented Australian Native plants. Discuss commercial applications of scented plants. Some producers set up to specifically supply commercial growers (i.e. producers of oil or bulk flowers) with tube-stock or grow scented plants for specialist retail nurseries. Plan the creation of a scented garden. Make up a list of at least 50 sources of information, about the identification and use of scented plants. Obtain one soil sample typical of your local area; name the soil and test the drainage of the soil. Obtain (or make up) a potting mix appropriate for growing herbs in. Make up a propagating mix, appropriate for striking seed or cuttings in. Visit a nursery or garden growing scented plants. Obtain any materials which are needed for propagating scented plants by grafting, stem cuttings, root cuttings, aerial layering and seed. Harvest and dry parts from at least three different herbs. Make the following scented products: pot pourri, a cosmetic product, a herb vinegar, a herb salt and one other craft product. Create a bottle of either herbal oil. Prepare hot and cold herb teas. Prepare one edible product, using a part of a scented plant for flavouring. Produce one sample of a scented oil, using fresh harvested material from a scented plant. Visit a general nursery. Note what herb seeds, and herb plants are commonly available. Research the cultural requirements of some (or all) of the following genera: Viola, Viburnum, Lonicera, Jasminum, Daphne and Gardenia. Find information on Magnolias, Lilac,Conifers, Scented Camellias, Citrus, Convallaria (Lily of the Valley), Lilium, Hyacinthus, Forsythia and Michelia. Visit and analyse the business operations of at least two herb enterprise. Design a garden featuring scented plants. Compare the commercial potential of three different types of herb enterprises, in your locality (based on the set task). Review in detail, around 50 different scented plants. Keep different plant species with strong fragrances apart - if different scents are close together, they can combine and you may not be able to differentiate one from another. Don't plant species with strong fragrances next to those with weak scents - some plants can stimulate the senses very strongly but others are much more subtle. When strong and weak scents are brought together; the value of the weaker one can be lost. 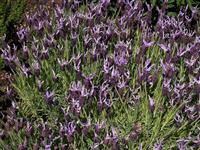 Many fragrant plants have both scented flowers and leaves. Plants with only fragrant foliage have one main advantage over those with fragrant flowers - the fragrance is in the garden all year round. Most of them also have one major disadvantage - the leaves must be brushed to release the fragrance. When fragrant foliage is stood on, crushed, or in many cases just lightly brushed, aromatic oils are released into the air to create a fragrance in the garden. To get the full benefit of fragrant foliage, it needs to be planted alongside a path or somewhere where it will be brushed or bruised regularly. Some however do release their scent on hot days without the need to crush foliage a good example is the curry bush (Helichrysum italicum) its scent intensifies as temperatures rise. There is nothing like fragrance drifting throughout a garden over summer and it becomes more intense in warmer weather. Some fragrant plants such as jasmine and honeysuckle can cause problems for allergy sufferers. Ask your neighbors before planting such things on a fence line). When using scented plants, it can be important to properly recognise the botanical chemicals, albeit natural, that you are introducing into your environment. All the chemical compounds found in plants are derived from carbohydrates which are synthesised during photosynthesis. These compounds can be divided into two main groups: primary and secondary metabolites. Some chemicals may be both primary and secondary, so this grouping is a slight generalisation but it is a widely used method. These are found in all plant cells. They are used in basic plant processes and biochemical reactions concerned with growth and metabolism. They include fats, proteins, and carbohydrates. From a commercial perspective primary metabolites are harvested for use in large quantities as relatively low value raw materials for industry, or foods such as vegetable oils, as well as food additives such as proteins and carbohydrates like starch, cellulose and sucrose. Amongst the primary metabolites, some have physiological influences on the human body but it is mostly secondary metabolites. This is the group of most interest to us because medicinal plants have lots of these chemicals. In fact, it is the presence of secondary metabolites which give medicinal plants their name. There are thousands of these secondary metabolites. They are generally not involved in growth and metabolic processes but instead many of them are used by plants to fight against pathogens or to ward off attacks from herbivores - by being toxic or repellent to them. They therefore play a role in defence. Others may inhibit the growth of other competitor plants, and some are responsible for pigments and odours which attract pollinating insects to plants. Secondary metabolites are derived from primary metabolites. There are different ways to classify them but one method which is widely adopted is to group them into alkaloids, phenolic compounds, and terpenoids. Alkaloids and phenolic compounds are synthesised by the shikimic pathway. Terpenoids are synthesised via the acetyl-CoA mevalonic acid pathway.